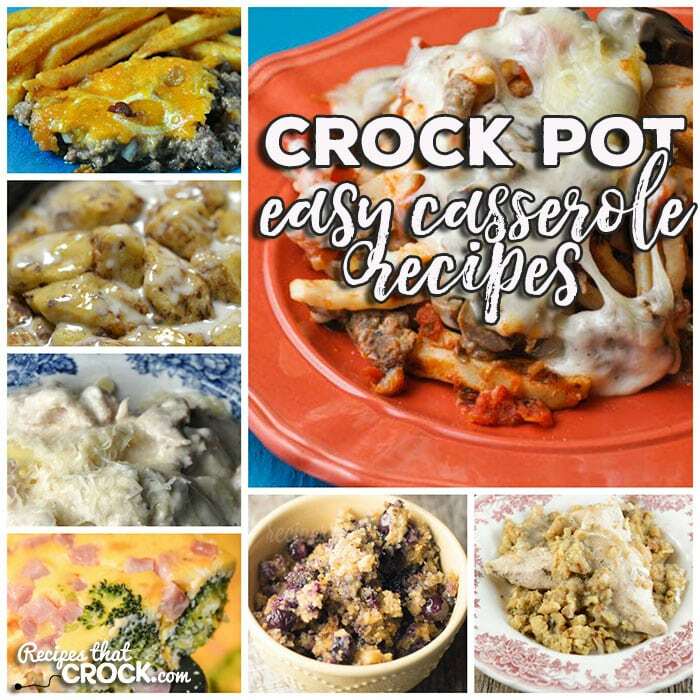 Easy Crock Pot Casserole Recipes: Friday Favorites - Recipes That Crock! This week for our Friday Favorites we have some Easy Crock Pot Casserole Recipes like Crock Pot Ham Tomato Egg Casserole, Crock Pot Italian Egg Casserole, Crock Pot Ham Broccoli Cheese Casserole, Crock Pot Bacon Egg Cheese Casserole, Crock Pot Chicken Alfredo Ravioli Casserole, Crock Pot Broccoli Cheese Casserole, Crock Pot Taco Ravioli Casserole, Crock Pot Sloppy Joe Casserole, Crock Pot French Onion Beef Casserole, Crock Pot Green Bean Casserole, Crock Pot Pork Chop Rice Casserole, Crock Pot Taco Casserole, Crock Pot Cheesy Chicken Rice Casserole, Crock Pot One-Pot Chicken Casserole, Crock Pot Cheesy Ham Hashbrown Casserole, Crock Pot Bacon Cheeseburger Casserole, Crock Pot Pizza Tater Tot Casserole, Crock Pot Meatball Sub Casserole, Crock Pot Cranberry Orange Roll Casserole, Crock Pot Sausage Egg Casserole, Crock Pot Chicken and Stuffing Casserole, Crock Pot Hamburger Casserole, Crock Pot Southwest Breakfast Casserole, Crock Pot Ravioli Meatball Casserole, Slow Cooker Breakfast Casserole, Crock Pot Blueberry Breakfast Casserole, Crock Pot Chili Cheese Casserole, Crock Pot Cinnamon Roll Casserole, Crock Pot Pizza Casserole and Crock Pot Corn Casserole. We love casseroles around here. They are great for breakfast, side dishes and dinner…and we even have low-carb casseroles! Whatever you are in the mood, one these Easy Crock Pot Casserole Recipes are sure to suit your fancy!